Smith and Church Streets, today. 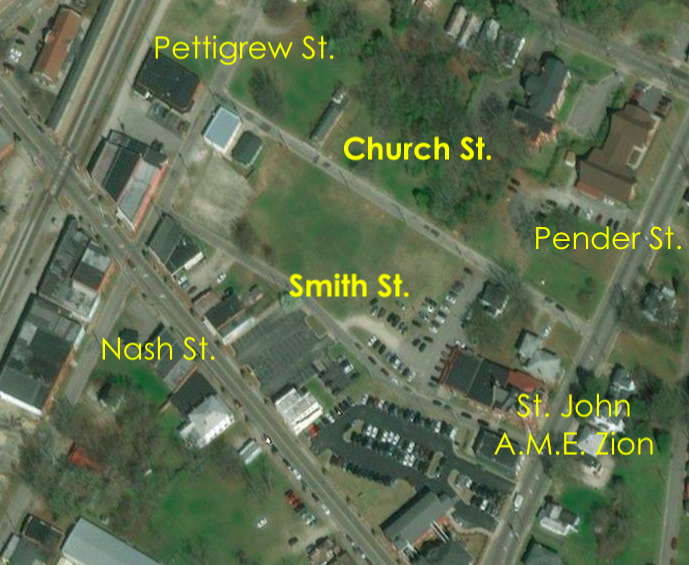 Smith and Church are narrow streets running parallel to Nash Street between Pettigrew and Pender Streets. By the 1930s, both were densely packed with working class housing, mostly wooden double shotguns, as shown on the 1930 Sanborn fire insurance map. 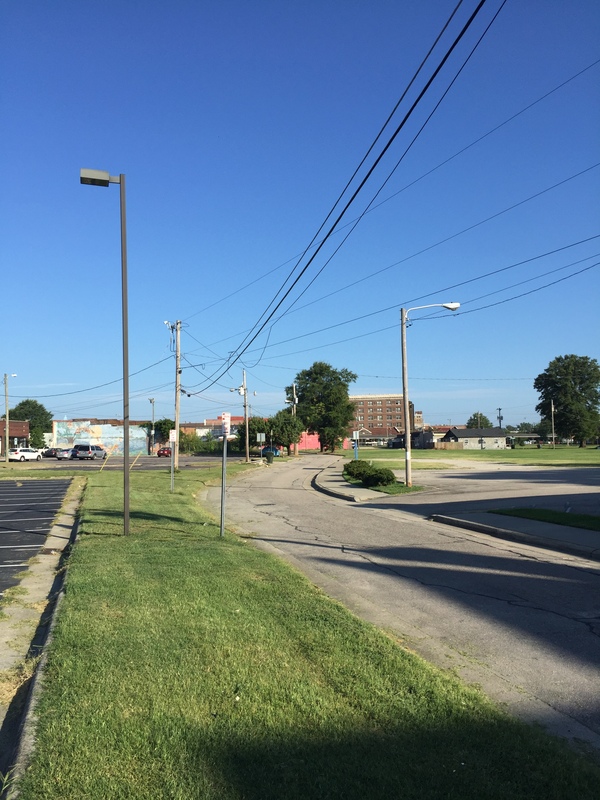 By the 1980s, these blocks had developed grim reputations, and today they are, essentially, vacant. There are no remaining houses on Smith Street and only three on Church. 507 Church Street, shown below just to the left of the word “Church,” is clearly visible above as a long, narrow shotgun house. Aerial view of Smith and Church Streets in 2017, courtesy of Mapquest. Smith Street in July 2016, looking west toward Pettigrew Street, with the Cherry Hotel looming on the horizon. Photograph by Lisa Y. Henderson. ← Obituary of Nancy Staton Boykin.